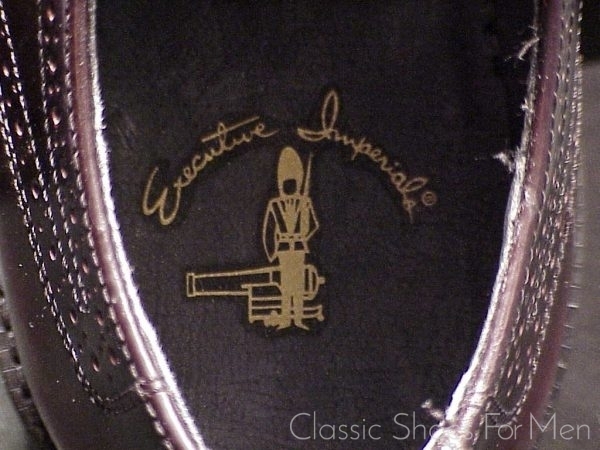 The name “Executive Imperial” was the trade mark of the Mason Shoe Company, Chippewa Fall, Wisconsin. 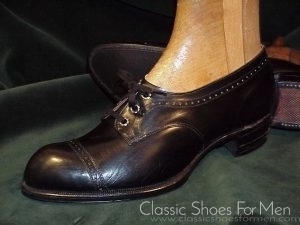 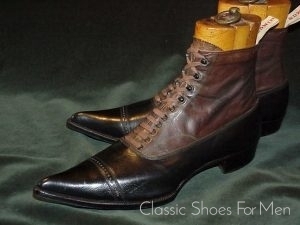 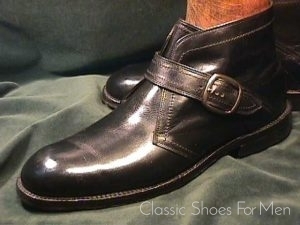 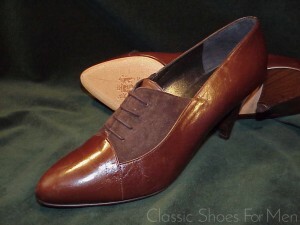 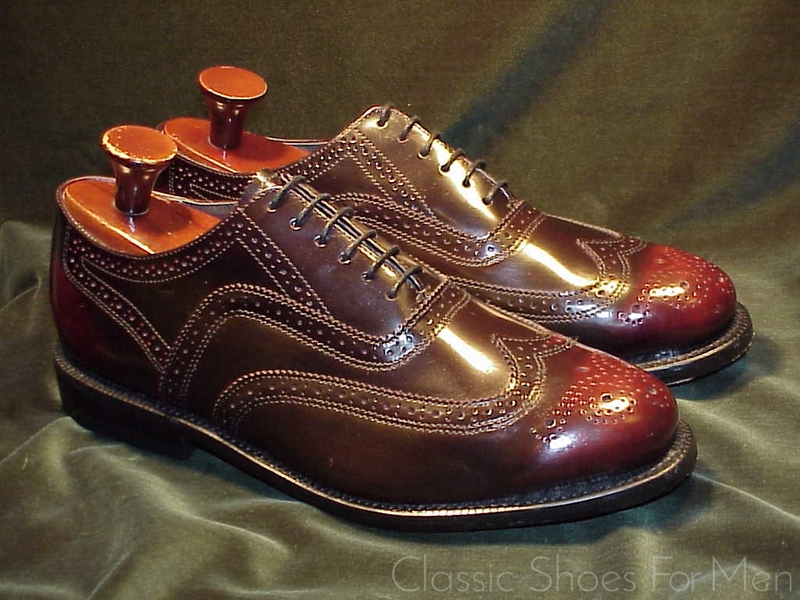 Mason was known for producing shoes for high-end emporia for rebranding. 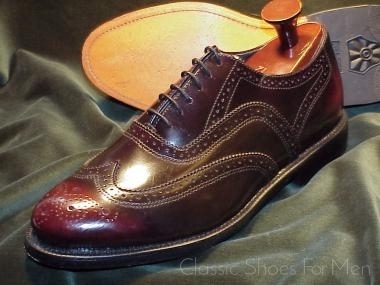 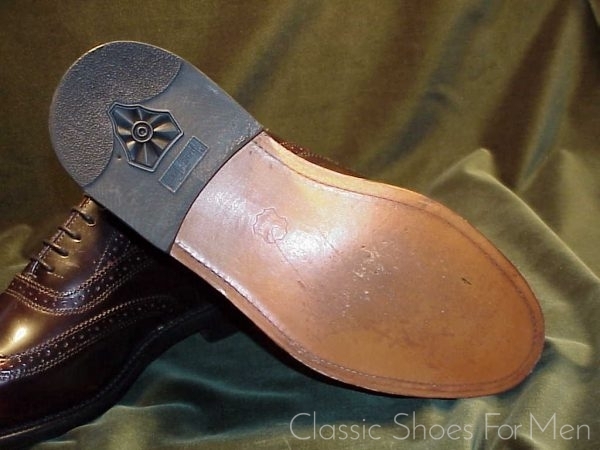 In any case, they produced an excellent shoe that resembles the other less well-know but excellent firm, Nettleton, This one appears to have been produced for an unknown retail store (their label has been removed) and most likely was a store model. 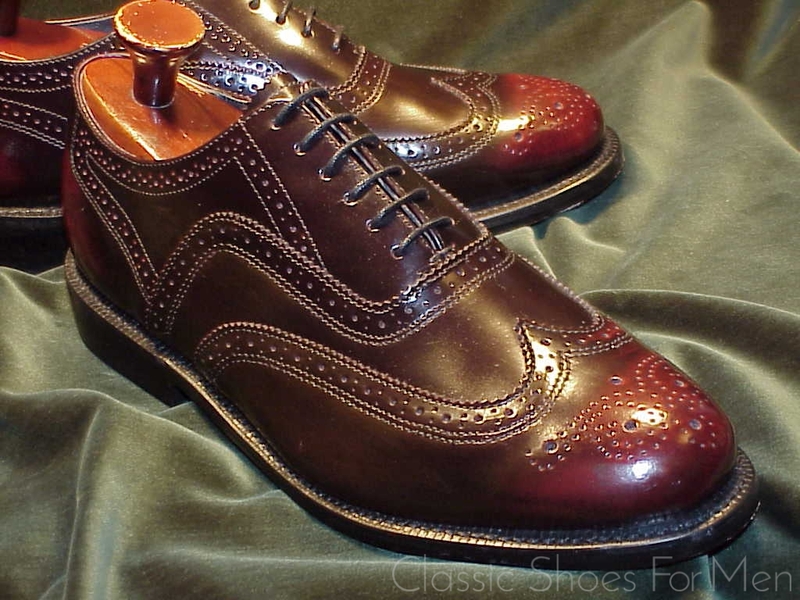 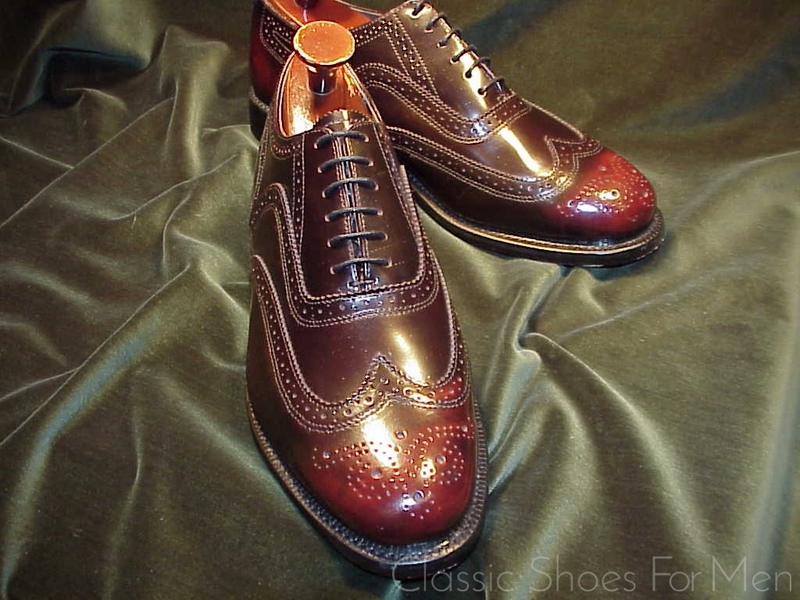 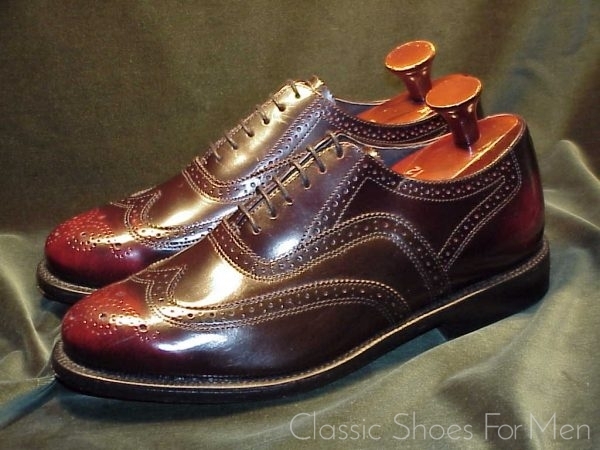 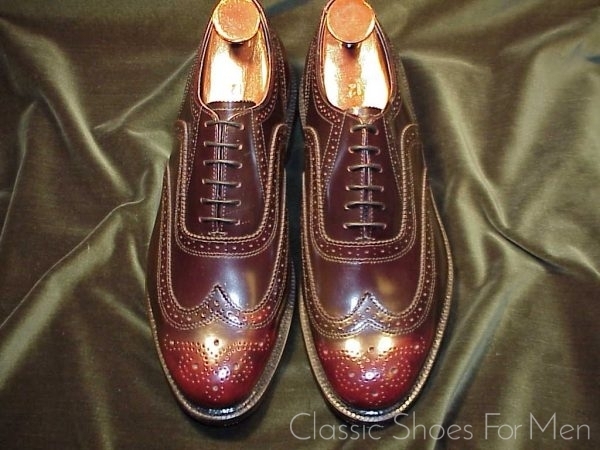 With Goodyear welted double sole, this is a massive brogue in a lovely grade of full-grain calfskin, a classic business or leisure shoe of the old American school. US 11.5E......UK 10.5F......Continental 45E, for the somewhat wider foot. 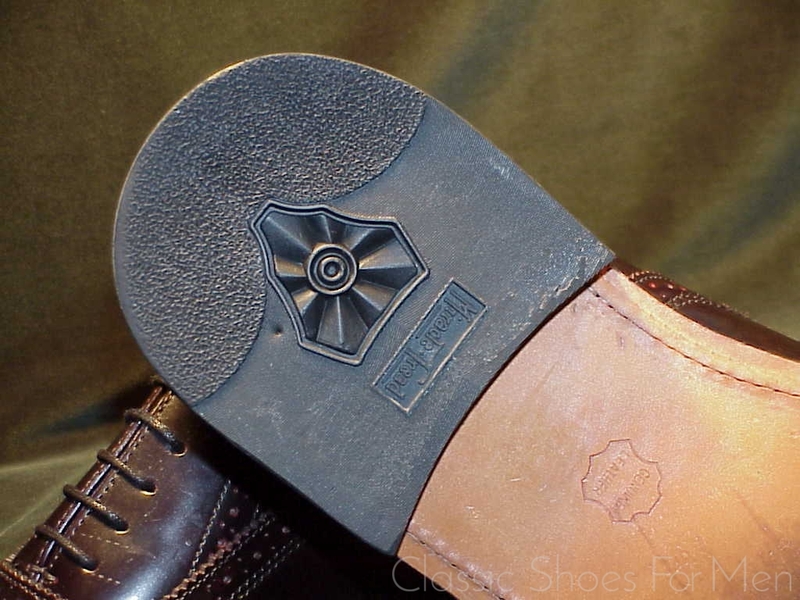 Like new, a store model, trivial scuffs to sole from trying on for size, otherwise perfect.